Uni is a prodigy with a cool reserve who is accomplished in everything except for English. One day, she insults her temporary English teacher and he overhears her. He asks her to come to his office after school and, somehow, she starts receiving private tutoring from him?! Kinkyori Renai has been adapted into a live-action movie that premiered on October 11 and a spin-off live-action drama titled Kinkyori Renai: Season Zero that aired on Nihon TV from July 20 to October 12, 2014. 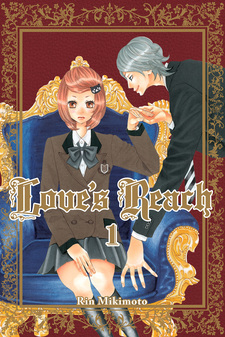 The series has been digitally published in English as Love's Reach by Kodansha Comics USA since July 18, 2017.